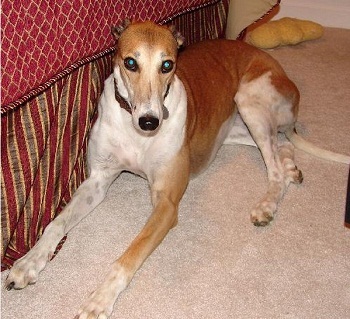 Jenny, aka Nurse Kim, is a beautiful, white and red, 6-year-old female born March 25, 2004. 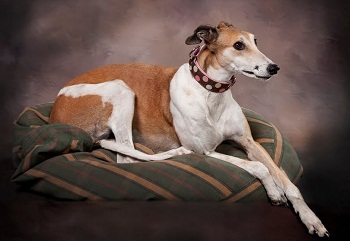 Her sire is Trojan Cruze and her dam is Greys Sizzlestar. She has 58 races to her credit on starting January 29, 2006 in West Virginia, and finishing on September 6, 2007 at Daytona Beach, Florida. 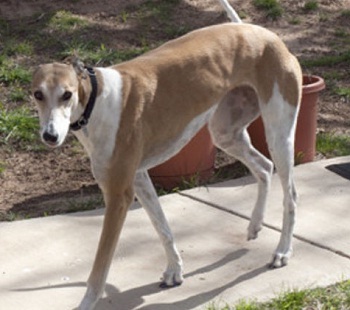 Jenny was originally adopted in Michigan, but her family could not take her when they moved out of country, so she joined the GALT family. She is a fabulous girl and is cat tolerant.